This is the official website for Captive Live UK 2015, taking place 22-23 January at etc venues St Paul's, London. Here you will find the very latest information on the Conference, including the agenda, speakers and sponsors. Aimed at risk management and captive insurance professionals, Captive Live UK is a superb opportunity to learn how risk managers are innovating to get the most from their captives, benefit from best practice advice and network with the leading industry experts. 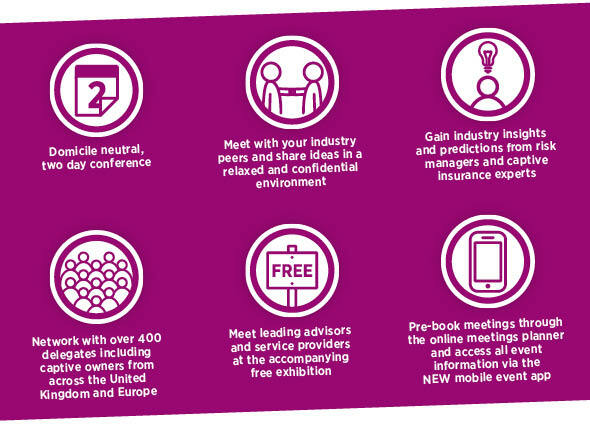 Returning for 2015, Captive Live UK is open to all captive insurance professionals. Please note however that there are some closed sessions within the agenda open only to Captive Review members and a select group of Risk Managers and Captive Owners.